NASA has been forced to respond to speculation on the web that a huge asteroid is about to impact the Earth with devastating effect. The Space Agency has rubbished what it labels "wild" speculation of an asteroid that could wipe out entire nations saying it has no basis in facts. Rumours and musings have been posted on blogs and micro-blogging sites speculating on an imminent doomsday asteroid hit. It is believed that the stories may have been started by Reverend Efrain Rodriguez who has spoken at length about an upcoming "rapture". 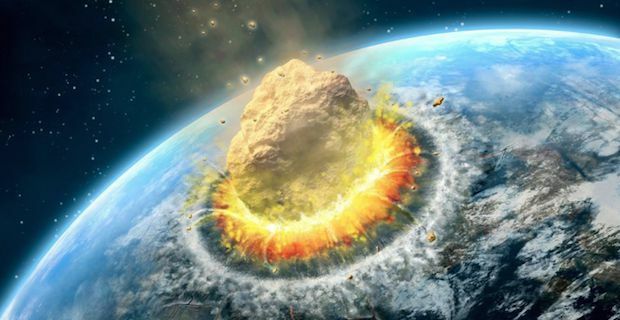 Manager of NASA's Near-Earth Object office Paul Chodas responded saying "There is no scientific basis, not one shred of evidence, that an asteroid or any other celestial object will impact Earth on those dates." Chides added "If there were any object large enough to do that type of destruction in September, we would have seen something of it by now." Chodas elaborated further on the potential threat of a large impact event saying "There is no existing evidence that an asteroid or any other celestial object is on a trajectory that will impact Earth. In fact, not a single one of the known objects has any credible chance of hitting our planet over the next century." One blog post labeled the fictional asteroid as being "2.5 miles wide in diameter and part of a rapture prohesided by Sir Isaac Newton. Another site warns of a "dinosaur-killer" which would cause "a 300ft tsunami and a Magnitude 12 earthquake which will lay waste to the eastern seaboards of the USA, Mexico and Central and Southern American nations while European nations will be devastated".